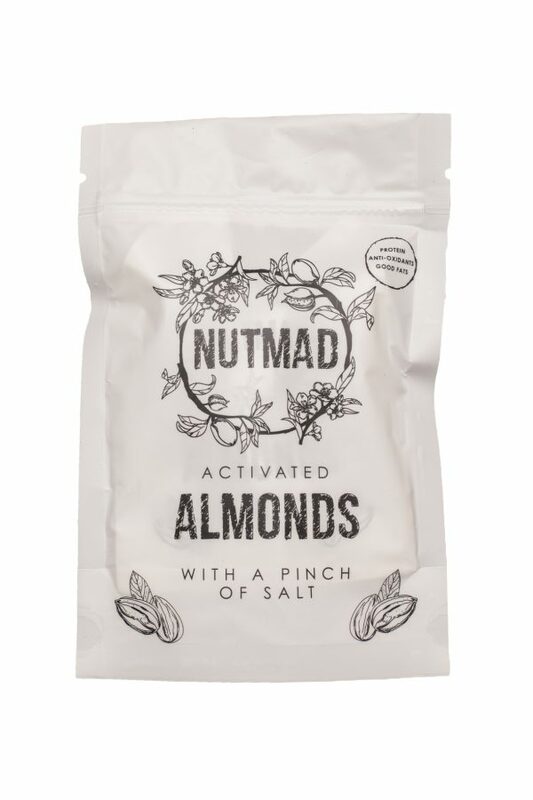 Slightly salted with sea salt flakes, these salted almonds are the perfect party snack. 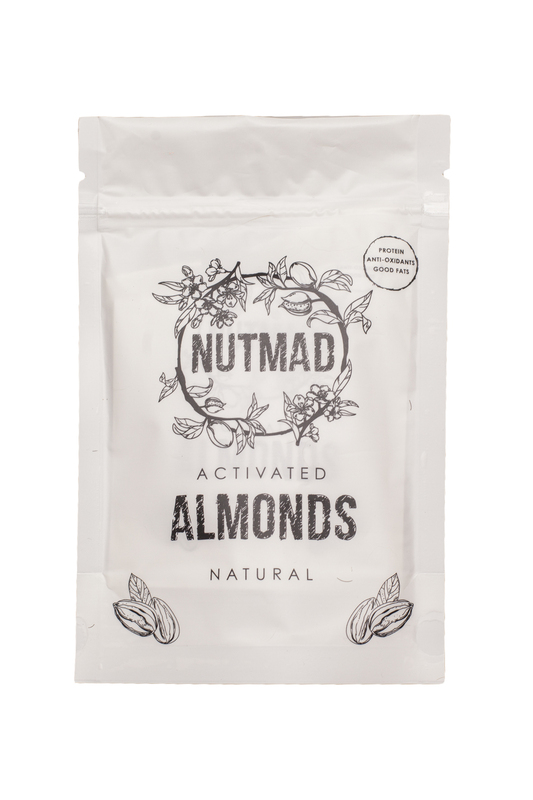 Almonds are one of the world’s best sources of antioxidant vitamin E and magnesium. Magnesium is a mineral, which is vital for the nerve function. A common sign of deficiency is muscle twitching and restless legs. We use up large quantities of Magnesium when we are stressed or exhausted, and a twitching eyelid is often a sign that we are doing too much. 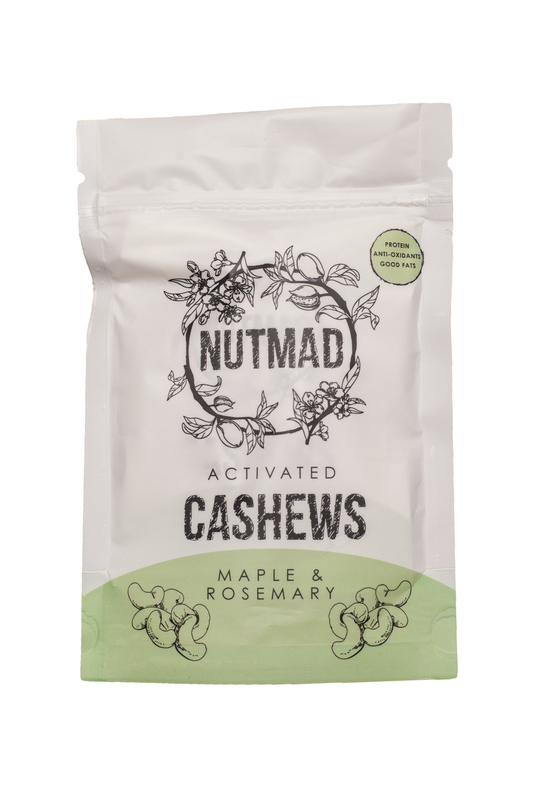 To boost your magnesium intake eat plenty of nuts. Vitamin E is one of the most powerful antioxidants, which protects cell membranes from damage in the body. 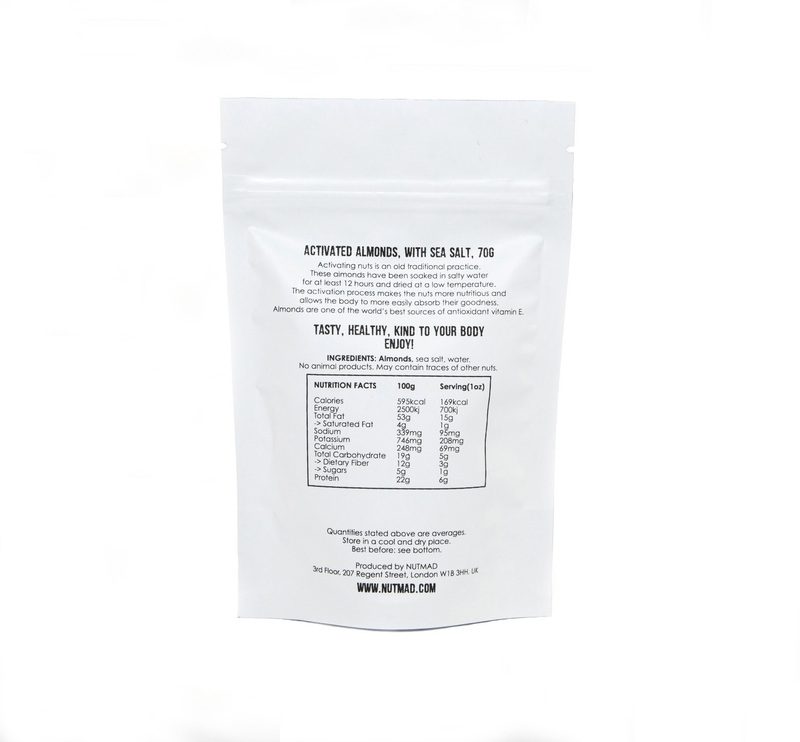 It plays an important role in maintaining healthy skin and eyes, and strengthening the immune system. Vitamin E can be found in foods containing ‘good’ fats. 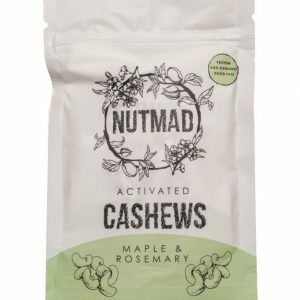 Apart of nuts and seeds, other sources of this great antioxidant are wheatgerm – found in cereals and cereal products, and plant oils such as soya, corn and olive oil. Lower amounts are also found in green leafy vegetables. If you are following a very low-fat diet, it can be harder to get enough vitamin E. The daily recommended dosage for vitamin E is 4mg for men and 3mg for women. 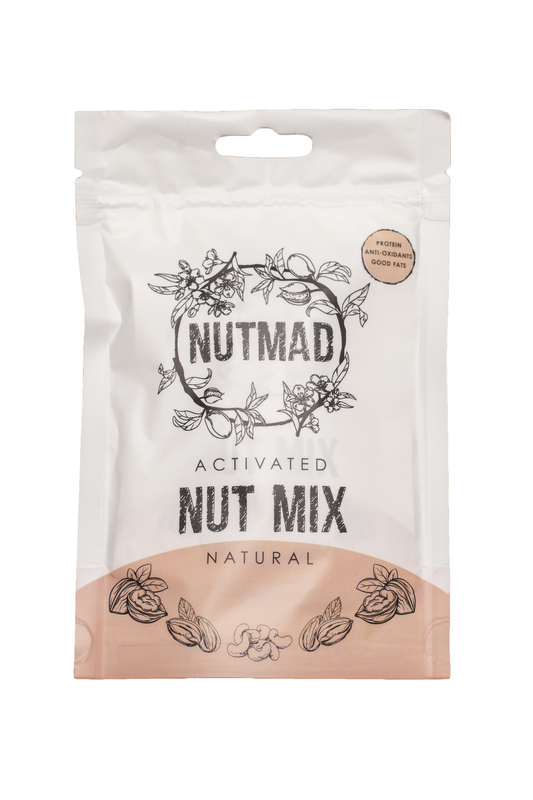 Since the salt intake of the most people is rather too high, we season our activated almonds very slightly, to give them the salty flavour whilst not letting it be too dominant. We use sea salt, which contains some additional minerals such as potassium, zinc and iron, and also has a deeper flavour than table salt. 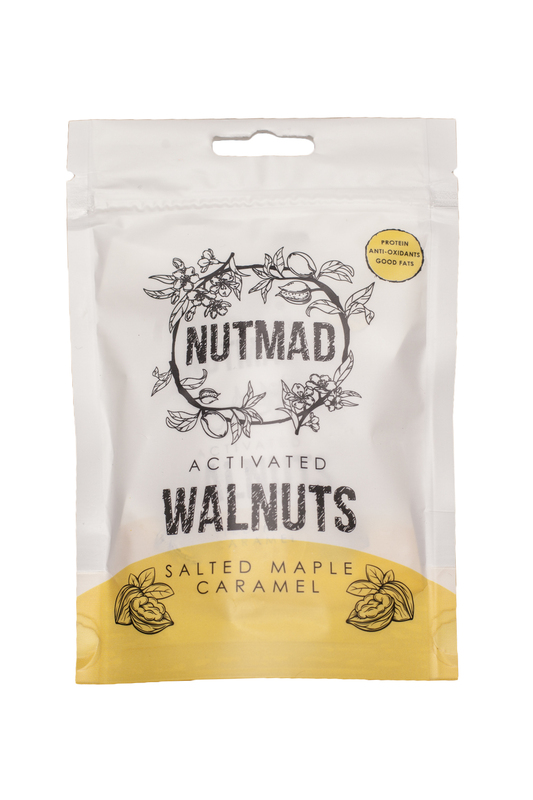 With activated salted almonds, you’ll get your precious vitamins and minerals in a tastier way! 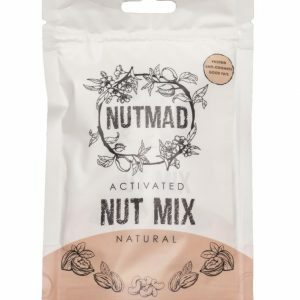 This study of the University of Maastricht shows that nut intake is associated with lower mortality rate. 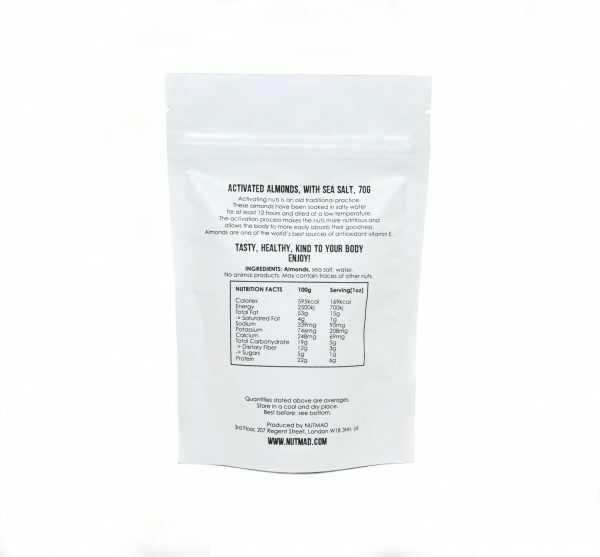 Our activated salted almonds do not contain any animal products: this makes them suitable for vegetarian and vegan diet. They may contain traces of other nuts. 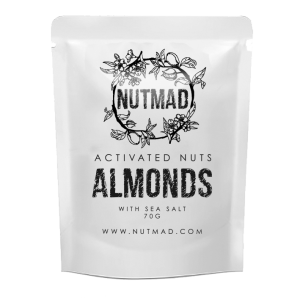 We ship our activated salted almonds FREE in the UK Mainland! 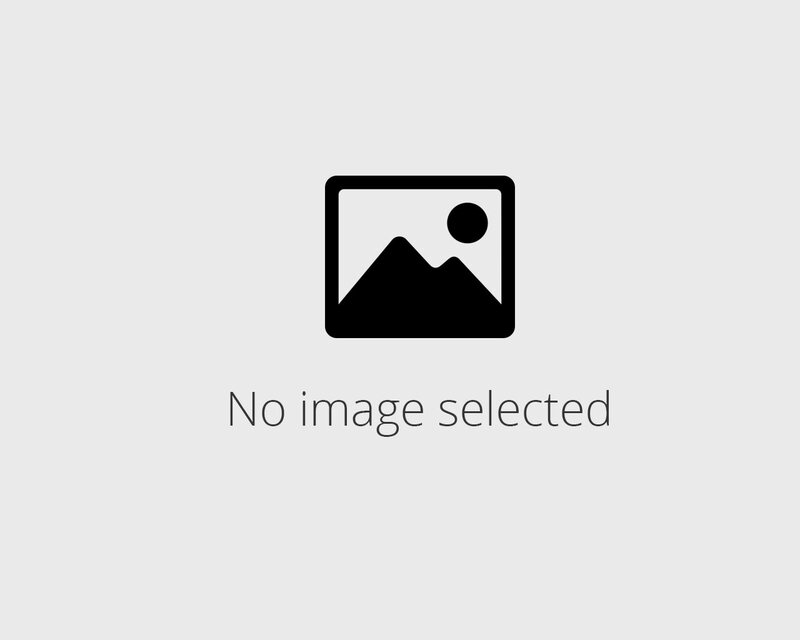 We dispatch all orders on Mondays after we have received your order and we deliver them in 3 to 5 days from then. Then, we dispatch every following delivery from your subscription every or every second Monday, depending on your subscription plan. 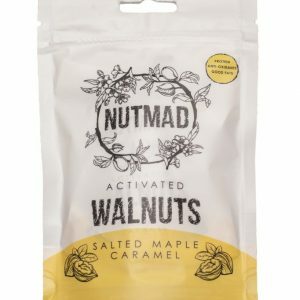 This is the Weekly Subscription Plan; if you’d like to receive our amazing activated almonds every 2 weeks, check the fortnightly subscription plan for activated almonds with sea salt! 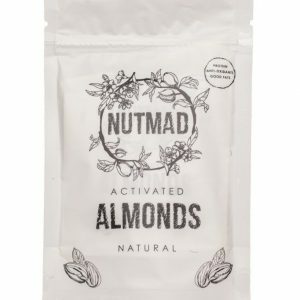 If you prefer a natural taste, here’s the weekly plan for plain activated almonds , and this is where you can start a fortnightly subscription for plain almonds online!